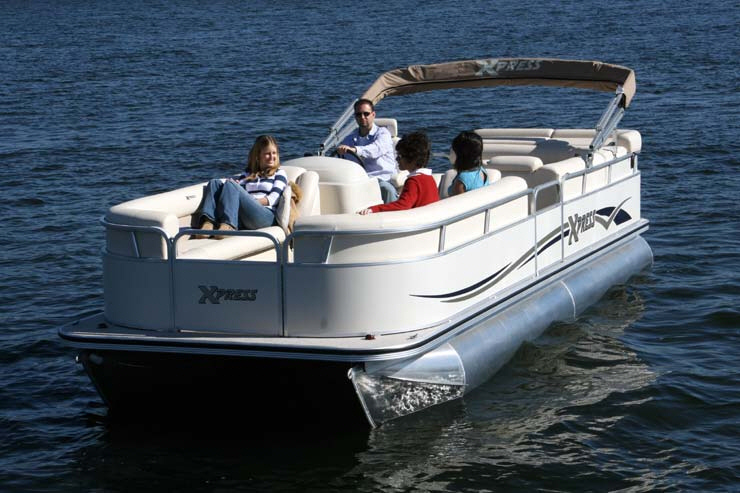 A new 23-foot Xpress Triple Toon boat was stolen from Reynolds Racing & Marine, 1019 S Roane St., Harriman, Tenn. on the night of 15 April 2008. It is similar to the one in the photo except the rail fence is burgundy and tan. The engine is a 175 hp Mercury Verado with digital throttle and shift. Trailer is a tandem axle, Hustler brand. The boat has a burgundy mooring cover.